The Agras MG-1S is DJI's latest high-performance aircraft capable of offering comprehensive solutions for agricultural care. It brings aerial precision to agricultural operations, allowing farmers to reap better yields while operating more efficiently. - Stability and reliability: Equipped with DJI's advanced A3 Flight Controller, the dual barometers and compasses increase flight stability and high levels of reliability. - Radar Sensing System: Three high-precision, millimeter wave radars have been added to adjust to changing altitude, allowing the aircraft to adjust its height accordingly. 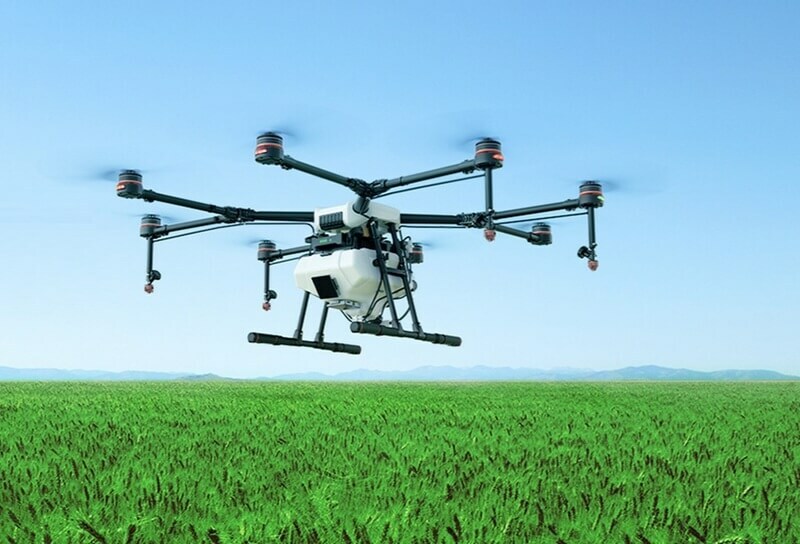 - Flight management platform: The software allows operators to plan and better managing their spraying operations to improve working efficiency and reduce wastage. - Ease of use and portability: The arm of the MG-1S is detachable and the landing gear is optimized, reducing set-up time and improving portability. - Design and durability: A water-resistant film has been added to protect the ESCs. The relocation of the liquid valve and delivery pump makes liquid injection, demounting and cleaning much more convenient. Both the Agras MG-1 and MG-1S can be purchased through DJI and its official Agras channel partners. For pricing and availability, please contact iuav@dji.com.